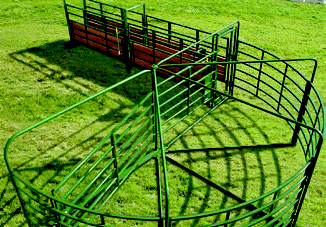 The Cattleman’s Tub and Alley is one of Powder River’s most popular sweep tub and alley systems. 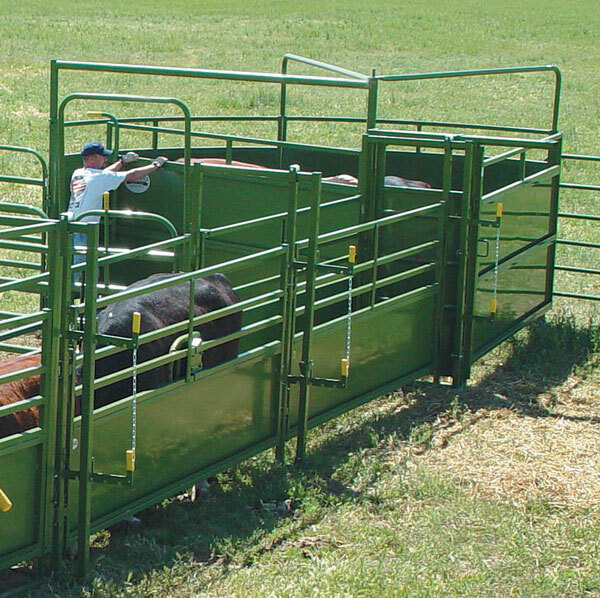 If you desire a sheeted system and the System 2000 is out of your price range, the Cattleman’s System is for you. The Cattleman’s System is 67″ tall , allowing you to work cattle without the need for a catwalk, giving you a sturdy, functional working system in a very competitive price range. The 20′ alley ca be set up straight or curved and the tub can be set up for end or center feed. Deluxe Alley bows, fully adjustable from 18″ to 30″ wide. Alley has heavy duty 14-gauge frame and 16-gauge sheeting. alley can be set up curved or straight. Sweep tub top braces make it super strong. Reversible Sweep gate with spring loaded latch.